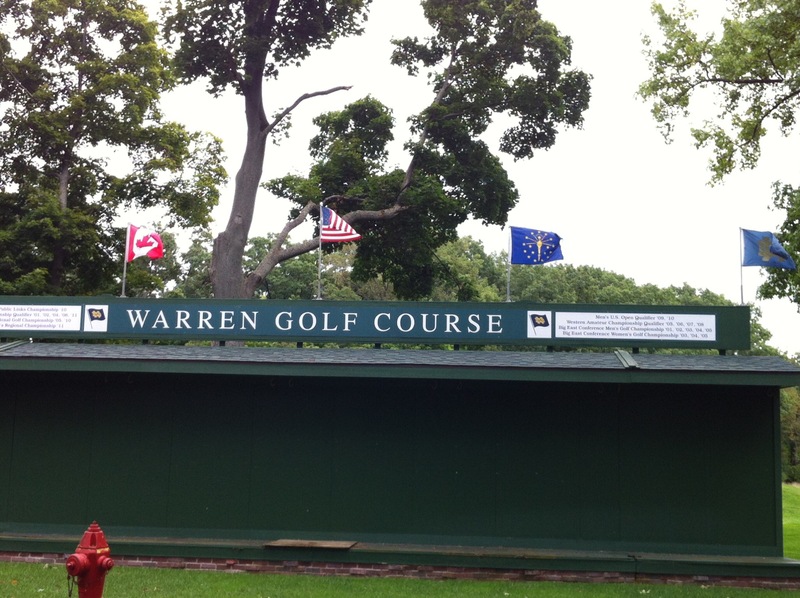 We arrived into Indiana on Friday from Illinois and went straight to the Warren Golf Club near the Notre Dame Campus. We had a 1pm tee time so arriving at what we thought was 12.15pm we thought we had plenty of time to warm up and grab a bite to eat. As we walked towards the starters hut I noticed the clock said 1.15pm and I said to Steve that clock is wrong. It then dawned on me that perhaps we had changed time zones. The starter confirmed we had indeed changed from the Central time zone to the Eastern time zone so we had lost an hour. The starter was so friendly and he told us not to worry as it happens all the time. We got our skates on and teed off fairly promptly. The cold snap that hit Chicago had followed us to Indiana so it was a bit chilly out there. 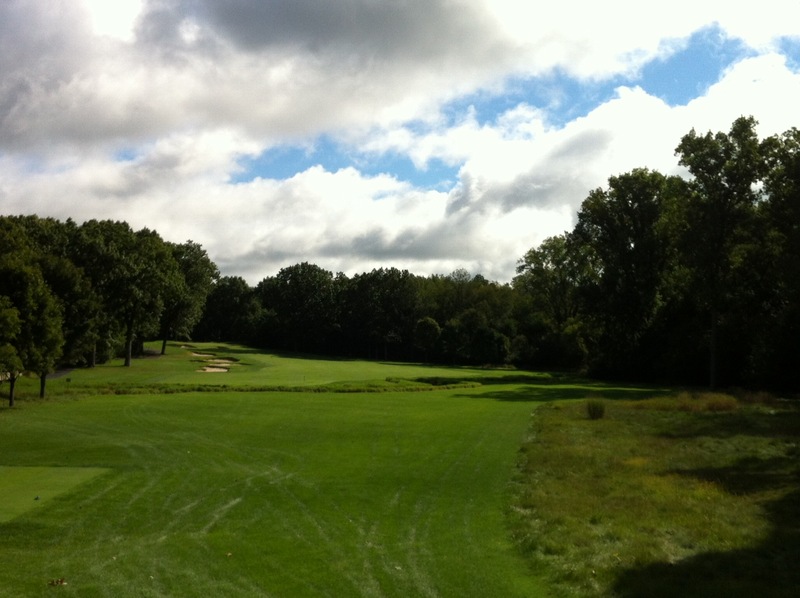 The William K. and Natalie O. Warren Golf Course at Notre Dame opened in the fall of 1999 thanks to the generous benefaction of William K. Warren, Jr., Notre Dame class of 1956. Named in honor of his parents, the golf course perfectly links three of Bill Warren’s abiding passions – his family, golf and Notre Dame. 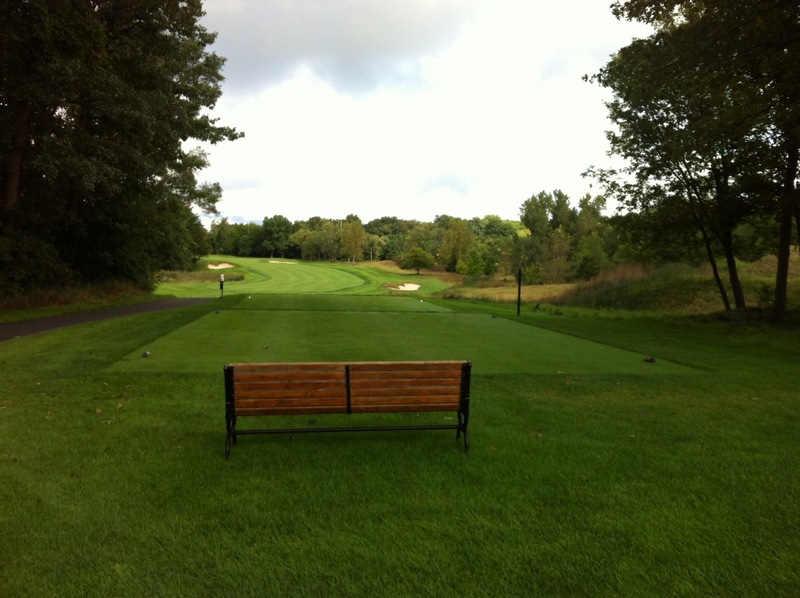 Mr. Warren’s generosity has continued throughout the years since the course opened. He has funded a number of improvements that have helped the golf course garner recognition as one of the top collegiate courses in the country. 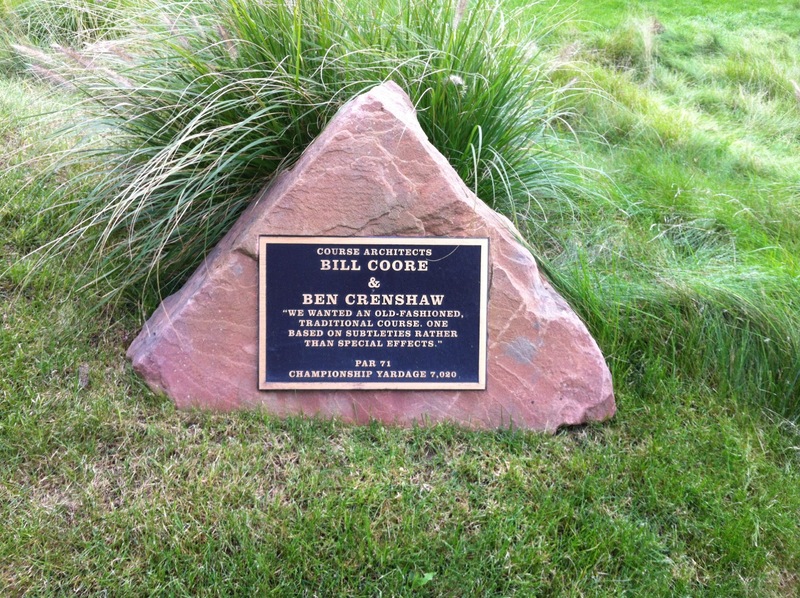 The course was designed by Ben Crenshaw and Bill Coore, arguably the greatest golf architects of the day. 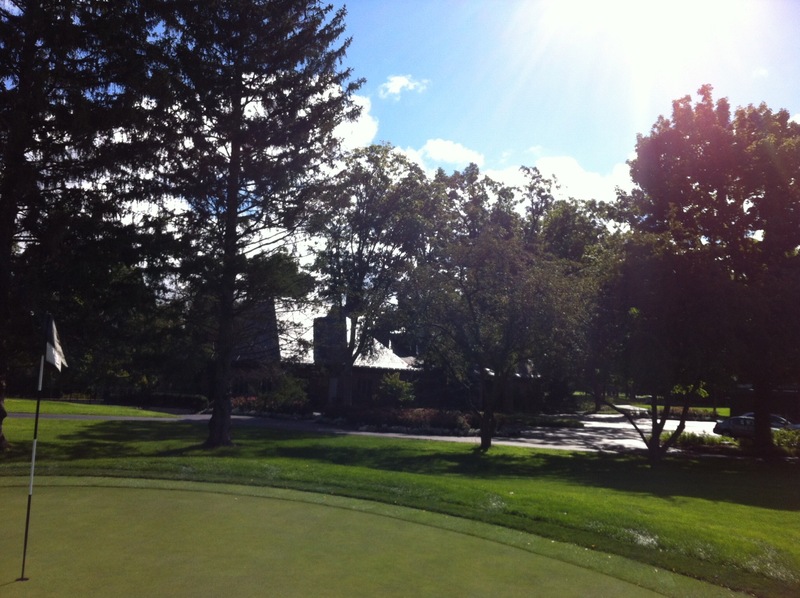 Since its opening in 1999, the Warren Golf Course has hosted dozens of high profile USGA, NCAA and Western Golf Association tournaments, including the 2010 Women’s Amateur Public Links Championship. 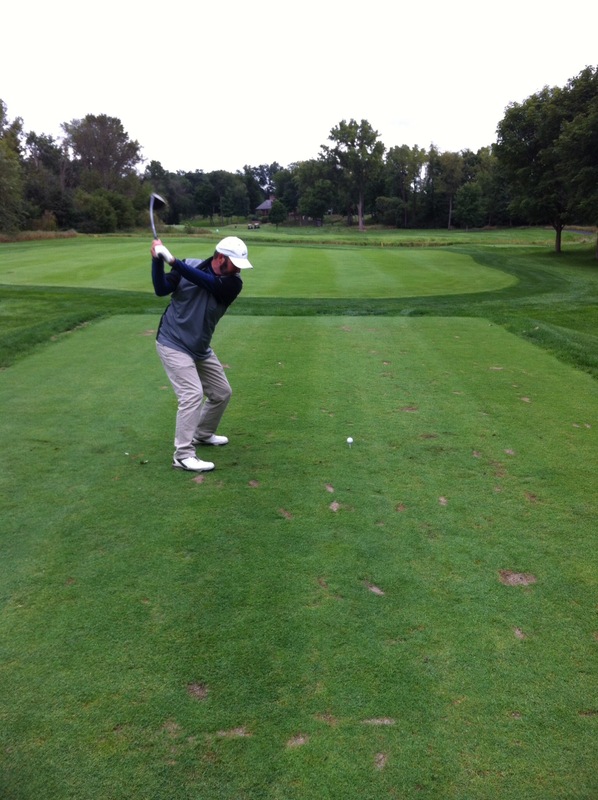 The Notre Dame University’s men’s and women’s golf teams use the course as their home course where they also have their indoor and outdoor practice facilities. 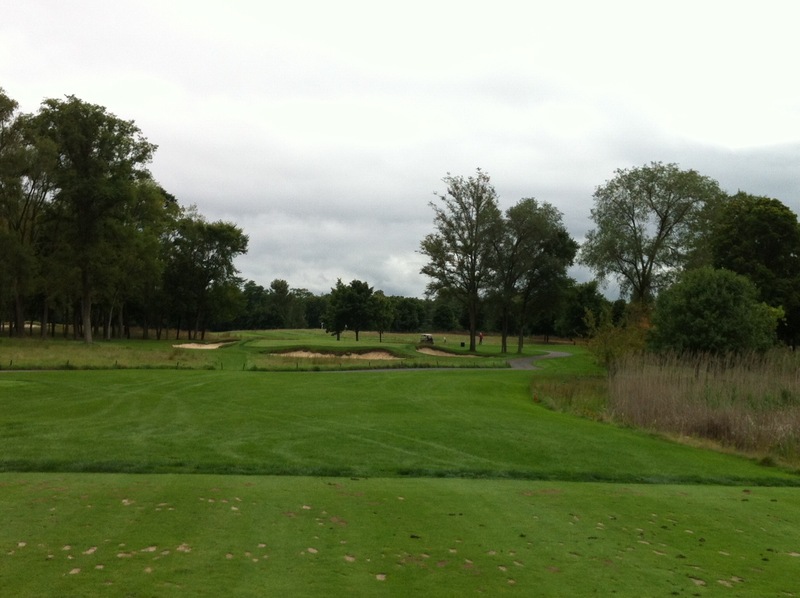 The course was very picturesque with the greens being framed nicely by lots of trees. We played another round on Saturday morning and apart from two others we were the only ones out there until about 9.30am – it was so peaceful. We asked the starter where everyone was – he said they don’t come out if the temperature is in the 50’s – between 10 and 15 degrees celsius. Manukau Golf Club on a Saturday morning is very busy regardless of the weather. We stayed at the Morris Inn on Friday and Saturday nights. The Morris Inn was built on the campus of the University of Notre Dame in 1950 as the first structure of the Notre Dame post-war building program. It was made possible through a generous donation from 1906 Notre Dame alumnus, Ernest M. Morris and his wife, Ella L. Morris. In 2012, Ernestine Raclin, daughter of the original hotel benefactors, along with her family and the Carmichael Foundation provided a gift to the University for the purpose of funding a major renovation and expansion of the Morris Inn. On October 21, 2012, the Inn was closed for the first time in 60 years and the project began. The university was established as an all-male institution and it wasn’t until 1972 that the university first enrolled women undergraduates. 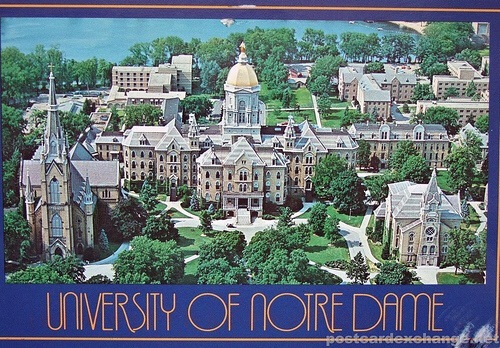 The Notre Dame Fighting Irish are the varsity sports teams of the University of Notre Dame. The Fighting Irish participate in 23 NCAA Division I intercollegiate sports. The Fighting Irish participate in the NCAA’s Division I in all sports, with many teams competing in the ACC. Notre Dame is one of only 15 universities in the nation that plays Division I FBS football and Division I men’s ice hockey. 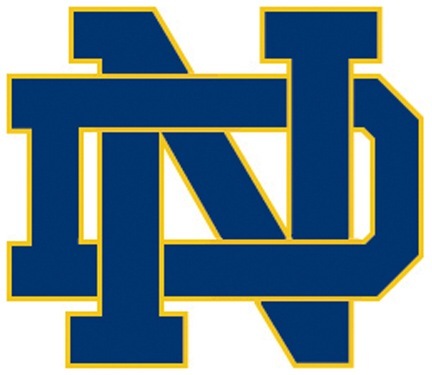 The school colors are blue and gold and the mascot is the Leprechaun. This entry was posted in Indiana, USA. Bookmark the permalink.